Need to transform the look of your house or office walls using wallpapers? PVC embossed wallpapers is what you need to transform the look of your house. These wallpapers can be used in many different places such houses, hotels, offices and many other places. They come in different designs, patterns and colors giving the homeowners opportunities to decorate their houses the way they may want. Wallpapers can be used in bedroom, table room, kitchen, and living room. Wallpapers gives you an opportunity to use different colors in different rooms. Wallpaper is durable, easy to clean and long lasting. They also help to hide dirt and spots on the wall. PVC embossed wallpapers are affordable and also do not require a lot of knowledge to fix on the wall. Looking for a shop where you can buy the latest design wallpapers? 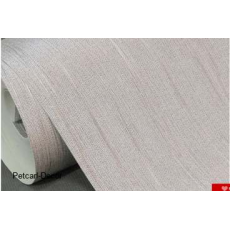 Petcarl Décor is a wallpaper selling shop in Kenya where you can purchase the most beautiful wallpapers at reasonable prices.